You want to spend an afternoon in the yard with your family, but the hot rays of the sun make this difficult. What are your options? Some Treasure Coast homeowners choose to build sunrooms. However, such a route puts up roadblocks when it comes to interacting with the outside world. What about retractable awnings? If you find yourself wondering about the benefits, the information below may prove to be helpful. When you invest in furniture for your patio, you expect it to last a long time. However, prolonged exposure to the sun leads to fading. For example, a red chair cushion may turn pink. 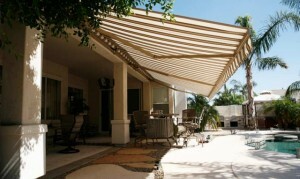 Retractable awnings keep anything in your yard looking great. You don’t have to worry about replacing something mere months after purchasing it. It’s not necessary to put furniture in your garage or a storage facility for weeks at a time in an effort to protect them. Show off what you have with pride and enjoy the fact that your patio furniture is always there for you to relax. If you wish to sell your home, retractable awnings are worth noting in the listing. Why? Potential buyers like to find things that make a home unique. They want a home that stands out from the crowd and makes them feel like they made a good investment. Increased outdoor living space benefits your buyers and allows you to get creative with staging. You can ask for a higher price for your property, thus giving you more to spend on your next home. When the time comes, talk to your real estate agent about your options. Don’t be afraid to think outside of the box. Retractable awnings give you more variety. If you have a favorite color or pattern, you can use it without hesitation. Do you want everything on your patio to match? Retractable awnings allow you to bring your theme together in an attractive package. Why not protect yourself from the harsh sun in style? In addition, you may get an automatic or manual retractable awning. The manual option requires turning a handle or crank. The automatic option uses a motorized system controlled through a remote or switch. When not in use, the awning rolls up into a cassette for protection purposes. Whether you wish to have a party or simply enjoy nature with loved ones, retractable awnings are worth a look. An awning gives you the freedom to color match anything you wish. Installing one is a less expensive option for homes with tight budgets. Keep your family shielded from the heat with the turn of a crank or the push of a button. Contact Premier Rollout Awnings today for a free retractable awning estimate. 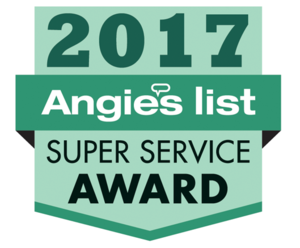 Our team of outdoor shade experts will make you happy you did!